191 candidates under the Skilled Workers in Manitoba stream. In 2017, Manitoba conducted 13 draws, altogether inviting 4041 candidates to apply. In 2018, there have been 2 draws so far, and 837 lucky nominees are now in the process of preparing their application packages and keeping their fingers crossed. Manitoba Provincial Nominee Program is one of the eleven Provincial Nominee Programs established by Immigration, Refugees, and Citizenship Canada. Other provinces and territories included under this program are Alberta, British Columbia, Manitoba, New Brunswick, Newfoundland and Labrador, Northwestern Territories, Nova Scotia, Ontario, Prince Edward Island, Saskatchewan, and Yukon. well below 500, the provincial nomination does ensure an Invitation to Apply in your mailbox to Express Entry Draw. Of 546 candidates selected for Manitoba Provincial Nominee Program, 148 received their invitation specifically under Express Entry Pathway. So what brings people to Manitoba? 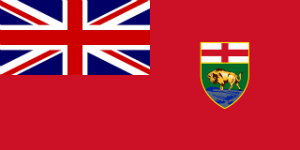 Manitoba’s is one of Canada’s leading provinces, with a reputation of a favorite destination for immigrants from all corners of the world. Manitoba prides itself on its strong economy and excellent infrastructure. While providing thousands of new immigrants each year with vast opportunities for work, education, and business, Manitoba still boasts a moderately low cost of living and car insurance costs as compared to other provinces and territories of Canada. This is a huge benefit, especially if compared to skyrocketing prices for homes and soaring car insurance premiums in Toronto and Vancouver. Manitoba is definitely a beautiful place to live in! 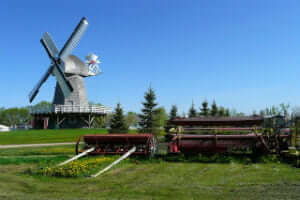 Its breathtaking views, mesmerizing mountains, picturesque valleys, thousands lakes and rivers in combination with its clean, eco-friendly and comfortable cities, open wide spaces and panoramic farmlands turn Manitoba into a piece of heaven on Earth. Manitoba has 94 provincial parks and 30 ecological reserves, including the Riding Mountain National Park, which is part of the Riding Mountain Biosphere Reserve, a UNESCO World Biosphere Reserve. Manitoba is a friendly and safe place to live in. Manitoba has welcomed immigrants of various customs, traditions, and cultures, who enjoy their new lives in Manitoba in the spirit of peace and harmony. Not surprisingly, Manitoba has also attracted many Hollywood producers, with movies being shot in locations in Winnipeg and surrounding areas. Summing up, Manitoba has an excellent combination of anything that is beautiful in Canada with an added benefit of smaller living cost, affordable housing, and insurance. At Jane Katkova & Associates, we know exactly how to help you move to Manitoba! We have valuable expertise in helping individuals and families settle in Manitoba or any other province for that matter. Give us a call, write us a note, and we will get back to you. Our team of highly qualified and experienced lawyers will bring you to Canada faster than you think!